Mediation is a voluntary and confidential process for resolving disputes between parties with the facilitation of a neutral mediator. This mediator assists the disputing parties in finding mutually acceptable (win-win) solutions to their disputes. Worldwide experience has shown that mediation enjoys a settlement rate of about 80%. Mediation is voluntary. The parties must believe in the process and are committed to resolving the disputes. Mediation is confidential. Parties and the mediator are bound by an agreement not to disclose the contents of the mediation meeting. Mediation contents are without prejudice. In case the parties are unable to resolve their disputes through mediation, none of the discussions can be used as evidence in a subsequent arbitration or court proceedings. 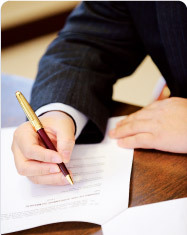 Mediation is only legally binding upon the signing of the Settlement Agreement. Nothing discussed in the mediation, unless written in the signed Settlement Agreement are binding. Mediation is an alternative dispute resolution which aims to settle dispute outside the court. Mediation involves a neutral third party who is not a judge or an arbitrator but a facilitator. He/she simply facilitates the parties to reach agreement. Mediation does not focus on rights nor the past but is rather future oriented based on needs and interests. You have an opportunity to step back and think about how you and the other party can put the situation right. The outcomes are totally under the control of the parties. You focus on needs and interests. You look into the past for understanding and the future for decisions. You come up with your own practical solutions (consensual problem solving) which will benefit all sides. Your discussions are private and confidential. You can preserve, rebuild relationships as both parties work together to find an agreement. You save time and costs as compared to going to litigation. Mediation is a flexible process that can be applied in settling disputes in various aspects. What areas can Commercial Mediation be applied? You enjoy equal status with the other party and save time. Parties set the pace for the meetings and the mediation schedule together with the mediator. Mediation can take as little as a few weeks, even a few days. You save costs. Mediation is generally more economical than a court case as it saves costs in preparing, filing and serving legal documents as well as other costs connected with judicial proceedings. Your discussions are confidential. Apart from the parties involved and the mediator, no one else will know the facts of the dispute, how the meetings are conducted, and the outcome of the mediation. Confidentiality is a definite advantage, particularly in a business setting. You maintain ongoing relationships. Mediator helps building a positive climate for constructive and fruitful dialogues, thus finding a solution that is acceptable to both parties. What areas can Workplace Mediation be applied? You can retain valuable trained staff, enhance productivity and creativity, therefore improving not only workplace morale but effectiveness and as a direct result -- company profits. You save many thousands of dollars in recruiting and training new employees. Cost of recruiting a new staff equals to one third of the staff’s annual salary. You can reduce enormously in loss of productivity, staff resignations, injury to workers, payouts, and stressful, time consuming, extremely expensive litigation. You can resolve employee conflicts or complaints in a positive and constructive way. Skilled workplace mediators are able to facilitate respectful and fair discussion, clarify all issues to be discussed and guide the parties to understanding and agreement. You will enjoy a harmonious work environment. By motivating staff to deliver the desired share gains in mutually beneficial ways, you are able to encourage participation, responsibility, collaborative decision-making and mutual, respectful working relationship. Why Early Intervention is important? Workplace mediation is best utilized to restore productivity and harmony to the company or organization. Stress and conflict of individuals will build up negative energy in a work environment. To prevent such negative energy from spreading, early intervention through mediation is desired to shift situation back to a high positive energy environment where productivity is at an optimal point. Should External or Internal Mediation be used? g2g provides mediation services for companies on a case-by-case or retainer basis. If companies decided to set up an internal workplace mediation team, g2g can provide consultancy services in assessing the suitability, designing the system and training the internal mediators. Every company is unique, please contact us to set up a meeting. We will provide a preliminary assessment. What areas can Family Mediation be applied? You can avoid the tension and conflict of an adversarial litigation system. You can save time and money in not having to contest matters in court. You can make your own decisions and reach agreements which you and your former partner are more willing and ready to comply with. You can improve your ability to communicate with your former partner and learn skills for cooperative problem solving. You can enhance your continuing relationship as parents and help you work better together as parents in the long-run. You can seek legal advice at any stage of the family mediation. Agreement drafted in the family mediation session is not legally binding. You may, however, seek your lawyer's advice on it and then apply to court to make the agreement an order of court. Are all cases suitable for Family Mediation? Every case is different. g2g will invite you to an intake interview in which the mediator will assess whether family mediation is suitable for your particular circumstances. Family Mediation may not be appropriate for disputes such as child abuse, domestic violence, etc. as fear may prevent one party from negotiating freely. What areas can Community Mediation be applied? You save time. Mediations would normally last for days, not weeks or months, which lets everyone move forward. You save money. Compared to court fees and lawyer costs, mediation is a big money saver. You can express yourself. The mediator will make sure you are heard and understood. You can listen. The mediator will also make sure other people in the situation are heard and understood. You get clarity. Having time to talk and listen can help build understanding that can lead to exploring options and coming to agreement. You decide together - and the agreement is legally bounding. In mediation, you and the other party involved get to develop an agreement together, after you each have time to talk, listen and explore options. Because it's your own decision, the decision is more likely to be carried out. Your confidentiality is protected. Your privacy is our professional concern, and we protect it. You preserve relationships. When issues are clarified and needs and concerns are being understood, relationship can be restored and continued. Voluntary Basis - as mediation is voluntary, disputing parties has to agree on using mediation to resolve their conflict before approaching a mediator. Intake Meeting – the mediator will meet with the parties separately to collect information and assess whether the case is suitable for mediation. Sign Agreement to Mediate – the mediator will prepare an Agreement to Mediate for all parties (including the mediator) to sign before the joint meeting. Joint Meeting – at the beginning of the joint meeting, the mediator will explain his/her neutral and impartial role, the process of mediation as well as the guidelines with the disputing parties. Parties’ Opening Statements -- each party will have an equal chance to tell their version of the situation as they see it, uninterrupted. Agenda Setting -- the mediator will help parties draw up a list of issues to be discussed. Joint Discussions and Separate Meetings -- the mediator will facilitate the parties to develop mutually acceptable solutions to meet their needs in the particular situation. However, if parties reached an impasse or the mediator finds it fit, the mediator will call for separate meetings with each party to further explore underlying issues and options. Parties also have the right to call for separate meeting with the mediator if required. Settlement Agreement - when a solution acceptable to all parties is reached, a Settlement Agreement recording the outcomes is prepared by the mediator or the parties’ representing lawyers. Once this agreement is signed by the parties involved, it becomes a legally binding contract. If you want to find a settlement yet there is difficulty in negotiating a settlement, you are ready for mediation. If you want to rebuild relationship yet there is difficulty in expressing, you are ready for mediation. If you want to save time, money and hassles and do not want to go to court for settling a dispute, you are ready for mediation. If you want to have control over the settlement outcome and want the negotiation to be conducted privately in order to review your needs and concerns to the other party, you are ready for mediation. If you are ready for mediation, contact us to arrange an assessment meeting. Though mediation may not work in all disputes, g2g can also provide Individual Mentoring & Coaching to assist parties through to settlement. Contact us to find out more.